About The Eagle River Inn & ResortOn the Eagle River Chain of 28 Lakes. Eagle River inn & Resort offers free boat- docking for the hotel guests and is located on the snowmobile trail. The hotel offers over 40 rooms, including lakeside patio rooms, whirlpool spa dream suites, one two and three bedroom suites. Condominium rentals that sleep up to eight people are also available, featuring three bedrooms and three baths. Amenities include an indoor pool and hot tub, fitness center, free wireless Internet and continental breakfast. After a day of fishing, snowmobiling, skiing, boating or just relaxing, visitors to Eagle River Inn can enjoy drinks, dinners and more. The menu features steak, pressure fried chicken, seafood, cod, walleye and perch, all prepared by the inn’s professional staff. 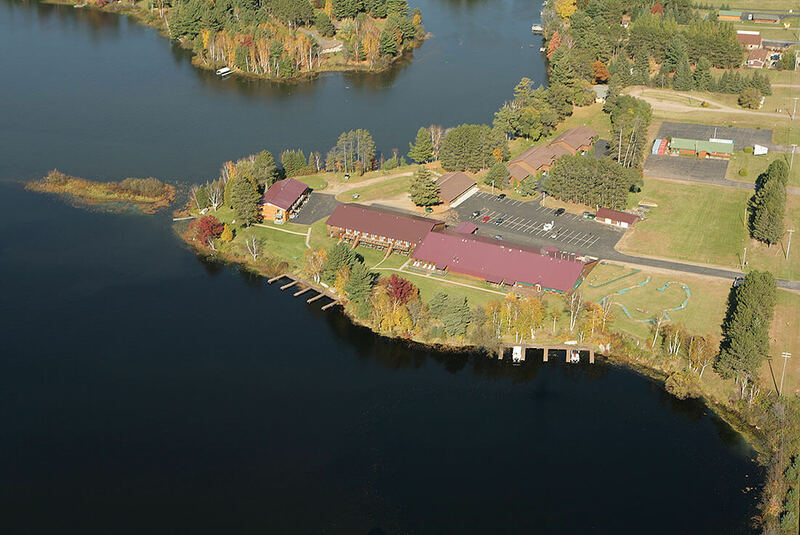 The Eagle River Inn & Resort also offers some of the finest banquet facilities in the North Woods, with full- service catering. Meeting rooms can accommodate upto 225 for meetings or dinner. Whether it’s a small staff meeting, family reunion, wedding or seminar, the inn will attend to the details, allowing guests to concentrate on the business at hand. 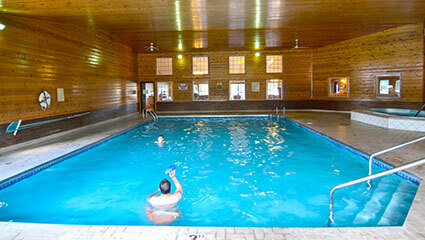 We have an indoor heated swimming pool and hot tub for you to relax in while you stay with us.